Our sister site Orchard Education Solutions has recently launched a series of Key Stage 2 learning materials. There are worksheets for a wide selection of maths topics, e.g. decimals and fractions, area and perimeter and working with charts. Also included are worksheets on English topics, such as apostrophes, poetry and comprehension. You will find all of these worksheets at http://orchardsolutions.com/downloads/ks2-worksheets . Most of them are 99p to download. There are also sixteen practice papers for the Northern Ireland Transfer Test, available at http://orchardsolutions.com/downloads/transfer-test . These are available as downloads or as hard copies to be sent out to you. You can also buy bundles of four papers in either format. You will need to register on the site to access any of these materials. An excellent series of shows is Maths Inspiration, which challenges and entertains 16-18 year olds with an interest in taking their maths beyond what they learn in the classroom. 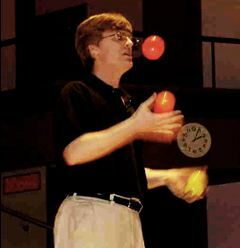 The shows are held in large venues with usually three or four inspirational speakers, typically one pure mathematician, one statistician and one engineer. The London show on 28th February features Simon Singh, Hugh Hunt, Colin Wright and Timandra Harkness (MC). The shows aim to be exciting and to put challenging maths into real-world situations. From attracting 300 pupils and teachers in 2003, the series of events now attracts over 12000 in total. The content is aimed primarily at sixth formers, but interested GCSE year pupils will also benefit. There is always a lively Q&A session at the end of each show. Each show runs from 1pm - 3:45pm, with an extra morning show (9:45am - 12:30pm) in London and Leeds. Read more about the programme and make your reservation on the Maths Inspiration website. There is also an article about Maths Inspiration in an article from the Education Guardian website and a piece on BBC News. In a report commissioned by the Government last year on the state of maths teaching in British schools, one recommendation was for maths education to be made compulsory up to the age of 18 for all pupils. Michael Gove, the Education Secretary for England, appears to have decided to run with this recommendation. The MEI charity (Maths in Education and Industry) has been given the remit of devising a curriculum suitable for such pupils, who would otherwise not have taken maths beyond GCSE. You can read the MEI press release. Prof Tim Gowers at Cambridge University has been blogging extensively on this subject and his blog has been accepted by MEI as the starting point for the proposed new curriculum. Some of his ideas for problems seem a little advanced for non-A-Level takers. Your opinions are very welcome, as always. Let us know what you think about the idea for the new qualification and about the ideas being mooted for inclusion. The government has announced that the QTS skills tests in Maths, English and IT will be made tougher from next year. Passing these tests is a requirement for all teachers wishing to gain Qualified Teacher Status, which is in turn a requirement for teaching in any UK school. The new tests have been developed by a panel of head teachers and teaching experts, following complaints that the current tests were too easy. Every trainee teacher is required to pass the tests, even those wishing to teach unrelated subjects, such as Art and PE. The government says that making the entry tests more rigorous will raise the quality and standing of the teaching profession. Education Secretary Michael Gove said "These changes will mean that parents can be confident that we have the best teachers coming into our classrooms. Above all, it will help ensure we raise standards in our schools and close the attainment gap between the rich and poor." More complex mathematical problems and longer written exercises will become part of the tests. There will also be new questions on verbal, numerical and abstract reasoning. The pass mark will been raised. Another aspect of this change is that fewer resits will be allowed, in line with Michael Gove's other education reforms. If the test has been failed three times, the candidate will not be allowed to take it again for 2 years. They will be non-calculator tests and will require the trainee teacher to gain a score equivalent to a grade B at GCSE. They will also be taken before starting on the teacher training course, so becoming a pre-requisite to gaining a place on a course. The teaching unions are unsure about the plans. Julia Neal, president of the Association of Teachers and Lecturers said: "If you're going to raise standards it's not just about recruiting teachers in the first place, it is actually keeping them and retaining them. I do think that sometimes there's a message going out which is really just undermining the profession. Are we saying that teachers at the moment aren't good enough because they haven't passed these tests? I do worry about the message that's going out about the profession." Christine Blower, general secretary of the National Union of Teachers, made the point that this reform does not appear to align itself well with another of Gove’s ideas, allowing academies to hire unqualified teachers. At MathsBank, we would give this particular reform a tentative thumbs-up. It is important to recruit teachers who have a certain level of academic ability. But teaching is about many things, not just academic excellence. A teacher must be a many-skilled individual, being able to engage and keep young people interested, to control a class and to handle the many stresses and pressures that being a teacher brings. And as Christine Blower pointed out: "The real issue is the training and support that teachers are given once they have entered into teaching training." Let us know what you think. info@mathsbank.co.uk . Over a million students in England, Wales and Northern Ireland receive their GCSE results today and for the first time ever, overall results have fallen. Since replacing the old O-Level and CSE exams in 1988, the percentage of GCSE papers awarded an A*-C grade has been rising inexorably, year on year. Today's GCSE results show that 69.4% of entries earned grades A*-C, compared with 69.8% last year. The proportion of pupils receiving the top grades (A and A*) has also fallen for the first time, down from 23.2% to 22.4%. However, this system, known as "comparable outcomes", has created a furore in itself. There have been accusations that the exam boards had been asked by the Department for Education to fix the results. Teaching unions are not particularly happy about any drop in apparent standards. They claim that any rise in grades is the result of better teaching and better-prepared students. In most subjects, including maths, there was a fall in the overall proportion of A*-C grades, but the fall was particularly marked in English. Many teachers claim that students have been marked down by an entire grade in English compared with the results that teachers had predicted. Countering this, the Joint Council for Qualifications, which publishes the annual results, said that the fall in A*-C English results was partly down to more candidates sitting the exam during the winter exam season. This set of results is set against the backdrop of considerable changes being planned for GCSEs. As of September, the GCSE exams set by the English exam boards will no longer be modular. 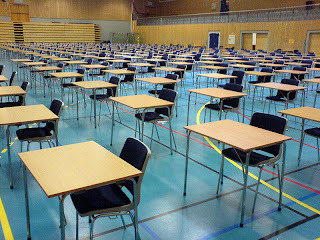 Instead, students will sit a single final exam. In addition, GCSE exams in English literature, geography, history and religious education will be assessed for spelling, punctuation and grammar. 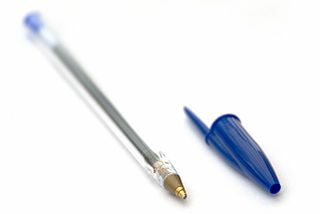 These new strictures will affect those sitting their GCSEs in the summer of 2014. Schools in Wales and Northern Ireland will continue to be able to opt for modular GCSEs. 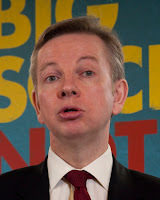 Eventually, Michael Gove has expressed an interest in returning to an exam more similar to the old O-Level. Some in education are even questioning whether it is necessary to take formal exams at all at the age of 16. A-Level Results Day. Top Grades Down. It's that time of year again. A-Level results came out this morning, with many students in England, Wales and Northern Ireland able to find out their grades online from 7 a.m. The headline from today's set of results is that the percentage of students being awarded the top grades (A and A*) is down, for the first time in 20 years. Today, 26.6% of A-level entries achieved the top two grades, compared with 27% last year. The overall pass rate, meanwhile, continues to rise, for a 30th consecutive year. The drop in the percentage of top grades was particularly pronounced in Northern Ireland, although overall the performance there is still better than average, with 31.9% of entrants being awarded top grades, down from last year's figure of 34.5%, according to figures from the Northern Irish exam board CCEA. Since 2010, the exam watchdog Ofqual has been telling exam boards they must be able to account for any upward movement in grades, to show that it was a result of a real improvement in performance. Girls continue to gain slightly better grades than boys, but this year boys obtained more A* grades, with 8% of entries gaining the top grade, compared with 7.9% for girls. Once again, maths and science subjects proved popular, with increases in the number of entrants, while the trend for modern languages is still downwards. For many of the 330,000 students getting their results today, A-Level results will determine whether they can go to their chosen university. The number of applications for university places is about 7% down this year, following the rise in tuition fees to a maximum of £9000 in England. Students in other parts of the UK may not have to pay so much. Northern Irish students staying in Northern Ireland will face no rise in fees. The Welsh government has agreed to subsidise students facing higher fees in other parts of the UK. Scottish students, who do not sit A-Levels, pay no fees at all if they choose to attend Scottish universities. In another move that has angered the teaching profession and its unions, Education Secretary Michael Gove has given the green light for academies to recruit unqualified teachers into teaching positions. All new academies sign an agreement with the Department for Education. From now on, this agreement will state that the school has the right to recruit whoever it believes to be qualified for a teaching role, removing the condition that the recruit must have QTS (Qualified Teacher Status). Existing academies may apply to have the new clause inserted into their agreements with the Department. Academies now account for more than a half of all secondary schools in England, although they are much less prevalent in other parts of the UK. The move brings new academies into line with private schools and the government's free schools. The Department says it expects the vast majority of recruited teachers still to have QTS status, and that it is allowing more flexibility, by allowing schools to hire people from a broader range of backgrounds. In contrast, the feeling among the teaching profession is that Michael Gove is trying to de-professionalise teaching. The general secretary of the NUT, Christine Blower, has described it as a cost-cutting measure and a clear dereliction of duty. Unions point to the fact that Mr Gove has in the past praised the education system of Finland, where teachers are respected and paid accordingly. In other countries where the required level of teaching qualifications is being watered down, such as Sweden, educational standards now appear to be falling. Teachers know how rigorous and valuable their training is. They know that pupils do not respond as well to untrained teaching and that this applies both to the academic rigour required and to classroom management. Many teachers also suspect that this is one step of a plan for further privatisation of the education sector, eventually allowing private companies to run the academies for a profit and offering a cut-price education, to compete with neighbouring schools. This is another move that the Education Secretary has attempted to introduce by stealth, as a part of his creeping revolution of the UK's education system. But proposals such as this, with such far-reaching consequences, will not go unnoticed by the teaching profession. There will be trouble ahead. In relation to our solar system, the problem is whether it is possible to establish whether it can continue indefinitely as it now exists, or whether it is possible that at some point in the future the Earth and other planets will spin away from their current orbits, or even collide. Henri Poincaré believed the universe was governed by predictable laws, adopting an approach similar to Newton, two hundred years before him. He thought he had the mathematical skills to take on this challenge. He began by modelling 2 planets, then added a third. At this point, the model becomes very complicated, and although he could not find a full solution, Poincaré’s paper was considered worthy of the prize. When the paper had been delivered and was ready for publication, a serious error was discovered in Poincaré’s working. He attempted to withdraw the paper, but was told that his letter had arrived too late, the paper had already been printed. The prize that was going to be awarded would now be withdrawn. 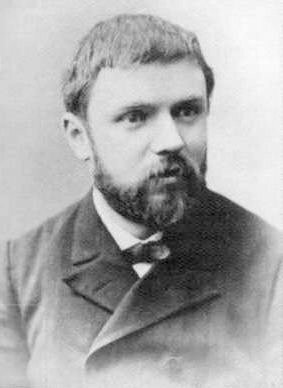 To add to his humiliation, Poincaré was asked to pay for the printing, which was more than his original prize money. He attempted to understand his own mistake and noticed that the problem stemmed from an approximation to an object’s position. 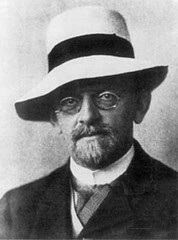 This led him to realise that any such approximation is invalid – the initial starting conditions of his objects could produce large differences in their positions later on in the system’s evolution. He wrote a second paper explaining this idea. Thus, it appears there are certain problems for which mathematical modelling cannot predict a solution, since initial conditions can never be precisely measured. Today we know this phenomenon as the Butterfly Effect or Chaos Theory. A well-known example is in weather forecasting: although the Met Office gathers millions of pieces of data each day from right across the globe, it is impossible for these data to be perfectly accurate. The weather is a chaotic process, and these uncertainties over initial data can lead to large differences in the weather patterns a few days later. To compensate for this, the Met Office run an “ensemble prediction” – the same model several times with slightly different starting conditions. Many forecasts are produced, sometimes very similar, other times very different and this leads to uncertainty in the forecast. Other chaotic processes include the beat of the human heart, population of insects, rabbits and other animals and, as we have seen, undetectable differences in the orbits of the celestial bodies, e.g. asteroids, can later result in completely different patterns within our solar system, even a collision with Earth. With these new, early insights, a new field of mathematical study was born and Poincaré was established as one of the main players in French mathematics. Poincaré is remembered for far more than just Chaos Theory. He excelled in all branches of mathematics and formulated the Poincaré conjecture. This conjecture about spheres in four-dimensional space remained unproven for almost 100 years. 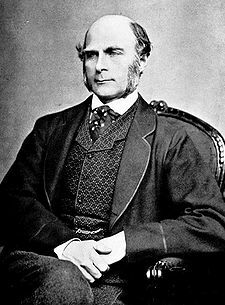 It had defeated so many brilliant mathematicians that it was included in the seven Millennium Prize Problems, for which the Clay Mathematics Institute offered a $1,000,000 prize for the first correct solution. In 2002 and 2003, the Russian mathematician Grigori Perelman cracked it, then famously rejected the prize and any honours for doing so. So Poincaré rightly takes his place in an exclusive group of mathematicians who have changed the face of the subject. Not only that, he did it in several different ways. We should remember Henri Poincaré, who died 100 years ago today, as one of the giants of modern mathematics. Alan Turing was an English mathematician, logician, cryptanalyst and computer scientist who was born 100 years ago this month. Because of war and his lifestyle, Turing’s genius was not fully recognised during his lifetime. Decades later, the importance of his work is more fully understood. There are some true statements that cannot be proved. Turing’s 1936 paper “On Computable Numbers” extended Gödel’s work, taking it into the realms of Turing machines, a simple, hypothetical device that would be capable of solving any problem if it were described in terms of an algorithm. The concept meant such a computer could do any computation using processor and memory, where the data was stored. Anything that any calculating machine can perform can be done with a Turing machine. Such concepts of a universal computing machine were truly radical, but in a sense, we all take these ideas of Turing’s for granted today. Word processing, for example, is a task that is carried out on a computer, because it can be broken down into steps and the computer can make consistent decisions based on user input. Removing red eye from a photograph is another example. This, and Turing’s further work, laid down the fundamentals of what we now call Artificial Intelligence. Turing envisaged feeding a tape marked with 0s and 1s, a series of digits representing a computer program. The device began to become a reality when he started working at Princeton in New Jersey. He called his machine a "binary adder", which he began to construct from bits and pieces of electronic equipment he could find in different university departments. Before it was built, however, war broke out and Turing was called back to England. He would begin work at Bletchley Park, helping, among other things, in the attempt to decipher the Germans’ Enigma Code. In June 1941, Prime Minister Winston Churchill was advised that Britain was just months away from starvation. U-Boats were sinking supply ships from North America so effectively that our only option would be surrender. That same month, after painstaking work, Hut 8 at Bletchley Park began reading U-Boat messages in real time. Turing and his colleagues had cracked the U-Boat Enigma code in the nick of time. During the following month, U-Boats did not manage to sight a single convoy. They had turned the course of the war. After the war, work began on developing powerful computers in various centres across the UK. Turing was known only as theorist because of the papers he had published. His practical work, largely carried out during wartime, was unknown because of the Official Secrets Act. But he had seen great calculating machines in action, such as the Colossus at Bletchley Park. Nobody knew of Turing's expertise in these areas; neither was it certain that any computing machine would be electrical. So, as a surprise to many, Turing was appointed at the National Physics Laboratory to work on their ACE (Automatic Computing Engine) computer. He recognised that the wartime calculating machines lacked the flexibility that data storage – memory – could bring. They were not true Turing Machines. Turing worked on developing electrical memory. First he built giant pipes of liquid mercury, 5 feet long, in which pulses of supersonic sound were stored. These vessels could hold only a tiny amount of data, but it was a start in the process of giving the computer a data storage device. However, because of conflicts between team members, progress was disappointing for 2 years. Rival teams in Cambridge and Manchester were making far better progress. In Manchester, three principle engineers had been hired who were experts on circuits for radar, again expertise that had been built up during the war. They had free access to stores at Malvern for electronic parts. Between the months of January and October 1947, the Manchester team went from storing 1 bit to 2000 bits stored in computer memory. At the time, the Manchester team had computer memory, but no computer to use it, so, with help from a grant from the Royal Society, they built the computer called Baby to use this new memory. 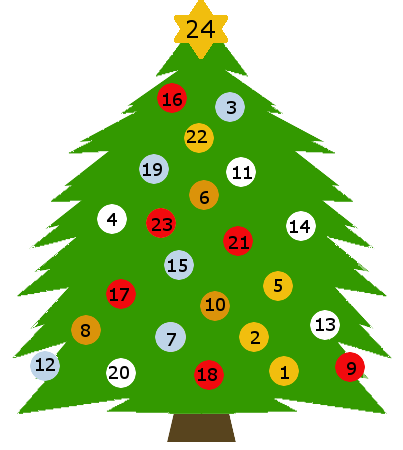 The first stored program computer Baby ran was to find the highest factor of a number – it demonstrated that both the memory and the computer were working and that they could work together. Alan Turing wrote a second program for Baby – an algorithm to perform long division - and sent it to the Manchester team. 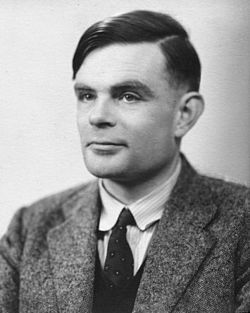 Before long, Turing had moved to Manchester and worked there developing the first computer programs. In his own words, Turing was interested in producing models of the action of the brain. Meanwhile, the ACE was now working at NPL. It has since been reconstructed at the Science Museum in London. Turing's homosexuality resulted in a criminal prosecution in 1952, when homosexual acts were still illegal in the UK. On 7 June 1954 Turing committed suicide at his home in Manchester because of persistent persecution by the British Government for his homosexuality. Turing’s tragic death robbed us of an amazing talent. At the time, very little attention was paid to the death of this great logician. His work was largely unknown among the British public, although his breakthroughs had, without a doubt, changed the course of the Second World War. And his inventions had turned the history of computing. Today, Turing is widely considered to be the father of computer science and artificial intelligence. When he was found after his suicide, a half-eaten apple lay by his bed. It may have been the delivery mechanism for the poison. There is a story that the developers of Apple Computers used the symbol of an apple with a bite taken out for their logo to honour Turing. Sadly, this fitting tribute is probably nothing more than a legend. 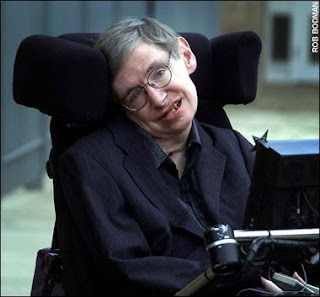 On 10 September 2009, following an Internet campaign, British Prime Minister Gordon Brown made an official public apology on behalf of the British government for the way in which Turing was treated after the war. So, what are we to make of the week's news, that the GCSE is to be revamped. According to the Daily Mail's scoop on Thursday, for key subjects such as maths, English and science, there will be two separate qualifications, similar to the previous structure of GCE O-Levels and CSE exams. The Mail's story appears to be a leak from somewhere within government, this time one that the government really didn't seem to want out in the open. The plans appear to be set out with a very rapid timetable. First teaching of the new syllabus would be in September 2014, with the first exams taking place in 2016. The changes would only affect England in the first instance, with Wales and Northern Ireland having a choice whether or not to follow suit. There were a few other bombshells in the story. Firstly, the six exam boards of the UK would be amalgamated, or abolished and replaced with a single body. The thinking behind this is that competition between the boards has led to a general reduction in standards, with boards creating easier exams in a bid to attract more schools. This part of the proposals appears to have received the widest support within teaching and within Westminster. Secondly, the National Curriculum would be scrapped, and head teachers given the power to decide what should be taught in their schools. Of course, Michael Gove's ideas should come as no great surprise. He has shown with his plans for post-16 learning that he is a traditionalist, in that he wants to return to a model more similar to that of the pre-1990s. The previous system was scrapped (by the Conservative government of the 1980s, it should be remembered) because it was deemed to have failed. The O-Level/CSE split was considered to have created a rift between those studying the two exams, which affects the student for the rest of their lives. This hampered any kind of social mobility. Critics of the current GCSE system say that it is too challenging for the weaker students and not challenging enough for the more able and that this is the cause of grade inflation. The GCSE was created as a multi-tier exam, in which less able pupils can study a foundation syllabus, in which they can gain grades C-G. The higher tier provides the opportunity for the more able students to gain the higher grades A*-C.
So, although it has its faults, the GCSE was designed to improve the prospects of a wider range of pupils. Many teachers will tell you that the foundation tier is very appropriate for their less able students and the higher tier is challenging enough for the more able. But with the clear majority of pupils now continuing to some form of post-16 education, it would be worth asking the question: why examine at 16 at all? Politically, there is the possibility of serious damage to the coalition government. The Lib Dems are said not to have been informed about the proposals before the leak, even Sarah Teather, Lib Dem minister in the Education Department. It has even been suggested that Michael Gove is setting out radical ideas with, eventually, a view towards the leadership of his party. Apparently, no change of law is required to bring this revolution into being, which explains the rapid timetable. So if the secretary of state gets his way, be prepared for further huge upheaval in the classroom. A-Levels are changing, there is no doubt about that. Education Secretary Michael Gove began the process by consulting universities earlier this year, asking how they could become more involved in setting of the exams and the curriculum. Those consultations received a mixed reaction from teachers and teaching unions. The Russell Group of leading universities has provided some more food for thought today. With a particular emphasis on maths A-Level, they say that some of the modules are simply not challenging enough and do not prepare students for a university degree in maths, physics or engineering. Indeed, the Russell Group thinks that A-Level studies should be less dependent on the current modular system and more focused on a final examination. They describe A-Level modules as 'bite-sized chunks' which are too easily forgotten. Another recommendation is that the number of times a candidate can resit any module should be limited, perhaps to one resit. Currently, a candidate can resit a module indefinitely. Finally, the future of the AS is to be considered. The Russell Group did not express any clear views on its future, but the options are for it to be scrapped completely, given its own status as a stand-alone qualification (i.e. not a stepping stone to an A-Level) or the status quo. All of these points will be considered by Ofqual, the exams regulator, as it begins drafting a report to be released later on this year. By then, we will know how radically different our A-Levels will look in the next few years. Did somebody say the Olympic Games is happening this year? I'm not sure about that, but I do know that there is a Mathletics competition called On Your Marks. The people behind World Maths Day and the e-Learning Foundation have come together to bring you this online maths challenge that all schools, students and teachers in the United Kingdom can take part in. Contestants take part in live maths challenges using the online award-winning program Mathletics. There will be a live Hall of Fame, updated in real time with the highest scorers. All participants will be given free access to the Mathletics website for the duration of the challenge. The event is completely free to take part. You may now register on the website and perform some warm-up activities. The Mathletics event will take place on 13th and 14th June. For full information and to register, go to the On Your Marks Maths Challenge website. Notice of some interesting maths events coming up over the next few months. Each year, the LMS Popular Lectures feature two lecturers, who have been chosen for their mathematical distinction. Usually, there is one pure mathematician and one applied mathematician. The London Mathematical Society will be hosting its annual Popular Lectures 2012 on Tuesday 26 June in London and Wednesday 26 September in Birmingham. These events are free and this year is the lectures' 30th anniversary. This year's prestigious speakers are Professor Tim Gowers FRS (University of Cambridge) speaking on "Can anything be salvaged from the wreckage of Hilbert’s dream?" and Professor Sir Roger Penrose FRS (University of Oxford), who will discuss "On Attempting to Model the Mathematical Mind". Can anything be salvaged from the wreckage of Hilbert’s dream? Could we program a computer to do maths at least as well as we do it? This is a formidable challenge, for reasons that Tim Gowers will discuss, but despite the difficulties he will try to persuade you that the answer is yes.! In this talk, Roger Penrose introduces the idea of a 'cautious oracle' as a more human version of Turing's oracles (a way of modelling the mathematical mind). He reports on some startling new experiments, which appear to point to new insights into brain activity, and he speculates on how this might relate to the power of human understanding. London: commences at 7pm, refreshments at 8pm, ends at 9.30pm. Birmingham: commences at 6.30pm, refreshments at 7.30pm, ends at 9pm. To register for free tickets, email Lee-Anne Parker or complete and return a downloadable registration form. Please register by Thursday 21 June (London), or Friday 21 September (Birmingham). Mathematics in Education and Industry (MEI) is running two free one-day courses for students this summer as part of their Integrating Mathematical Problem Solving project. Both these courses are free, but the number of spaces available is limited. The Language of the Universe takes place at the National STEM Centre at York on 22 June, and is suitable for teachers of A-level STEM subjects, who want to help their students understand better how mathematics is used in solving scientific problems. Everybody Counts takes place at the University of Leeds on 4 July. It will be suitable for teachers of A-level geography, psychology, sociology, economics and business who want to help their students cope better with the mathematical and statistical demands of further study. Education secretary Michael Gove is talking again. He has made pronouncements on the A-Level system before, alluding to his dislike of modular examinations and stating that the overall standard was not high enough. Now, there appears to be some flesh on the bones. In a letter to Ofqual, Mr Gove has outlined his plans that the universities should have a greater role in setting the A-Level exams. It should be noted that these changes will only apply in England in the first instance; it will affect Northern Ireland and Wales insofar as some pupils study towards the exams of the English boards. Scotland will be largely unaffected. Currently all A-Level curricula are designed carefully, with knowledge of what came before. Any topic studied at A-Level, without the correct groundwork at GCSE, is going to present problems. Without the correct pre-requisite understanding, such teaching could damage confidence and reduce learning, not improve it. Universities will need to employ a whole new cohort of specialists who understand the school curriculum, as well as what is required in a variety of university courses. This would not simply be a change to our A-Levels. If Gove's plans come through, more demanding A-Levels will require better prepared pupils as they make that transition from GCSE. And this means, in turn, that those pupils will need to be better prepared for GCSEs. Such a shake-up will have implications for the whole of secondary education. Allowing universities to have a greater input in post-16 exams is a good idea in principle, since the universities can see that a lot of their students are arriving without the necessary skills and understanding. The universities understand what is required. But this is an enormous change and it will be painful. There will be jobs lost, new jobs created; there will be some pupils caught in the transition who will, no doubt, suffer. There will be changes to teaching methods (perhaps universities will want to have a say in these as well?) and disquiet in the teaching profession. There will be upheaval on a grand scale. And if put in motion, the changes will be too large to be rolled back by any future government. If you are due to sit A-Levels in 2016, life suddenly looks rather different. Again, it is a case of: be careful what you wish for. 1st February 1972 marked a birth that would revolutionise mathematics education across the world. 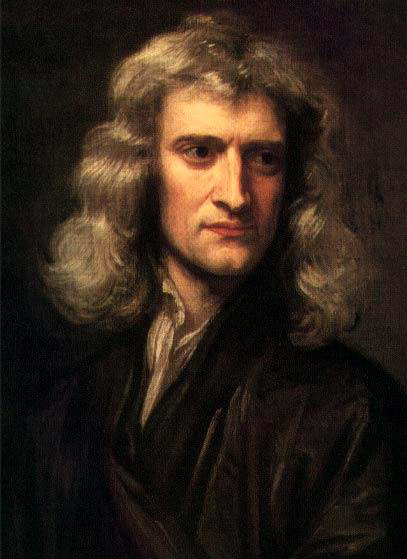 This was not, this time, the birth of a great mathematician, but of a machine. The first scientific hand-held calculator (HP-35) was introduced to the US market, and later to the UK. Costing $395, it was made by Hewlett-Packard and its name came from the fact that it had 35 keys. The HP-35 measured 79 x 147 x 34 mm, pretty chunky by today’s standards, but ultra-sleek in its day, when a computer still filled a small room. It ran on rechargeable batteries, and its electronics used several integrated circuits. ‘Scientific’ meant the calculator was able to perform logarithmic and trigonometric functions with one keystroke. It featured a red LED display which could give scientific notation up to 10 digits, with 2 digits for an exponent (power of 10). The price was reduced several times, eventually to $195 in the US. But this was, of course, still too high for the HP-35 to become a mainstream part of classroom teaching. Production of the HP-35 was stopped in Feb 1975, 3 years after its launch. 300,000 units had been sold. The numbers and functions for calculations were entered in "Reverse Polish Notation". This would seem very strange to today’s maths students, since the operator always appears last: a calculation such as 3+5 was performed by typing “3 5 +”. It avoided the need for parentheses or an "=" key. Further models from HP followed. The introduction of the HP-35, its descendants and similar scientific calculators by Texas Instruments soon brought about the demise of the slide rule in the classroom. The appearance of the calculator gave rise to the “should we, shouldn’t we?” debate in the media and among educators, with some feeling strongly that the introduction of a calculating device would bring about a decline in students’ own calculating abilities. These arguments had little real relevance in the early days, since the cost, fragility, and short battery life of these early machines meant the calculator had limited use in the classroom, and was certainly not available to every pupil. By the early 1980s, those deterrents began to decline. Solar-powered scientific calculators began to appear, with hard cases, costing around £20. The UK exam boards bowed to the inevitable and made them a standard piece of equipment in O-Level and A-Level mathematics. The calculator was here to stay. Later, the first hand-held calculators appeared that could graph functions. Like their simpler counterparts, these calculators were too expensive to be widely adopted when they first appeared, but today many schools encourage their use, although they are still not all tolerated within examinations. Nowadays, the line between a calculator and a handheld computer is very blurred. Some calculators such as the TI-89, the Voyage 200 and HP-49G are able to differentiate and integrate functions, solve differential equations and run word processing software. Other handheld devices can, of course, connect to the Internet. Whether such devices will ever be used in our exams, only time will tell. An emulation of the HP-35 is available for the Apple iPad.